Faeria Friday: Kickstarter Survey - FREE Mythic Chests! News / Strategy / Faeria Friday: Kickstarter Survey - FREE Mythic Chests! We've got an important survey we'd like you to fill out regarding Kickstarter - receive free Mythic Chests just by answering! Abrakam Kickstarter Survey - FREE Mythic Chests! As you probably know by now, Faeria is our main project of love - but the team at Abrakam is always looking at exploring interesting side-projects apart from or related to Faeria. We'd like to gather feedback from you, our valued players, about that sort of thing and how you feel about it. This survey has to do with a potential new project for Kickstarter, and what you would like to see - if anything! Choose from among three special wishes, and let us know what you think. It shouldn't take any longer than 5-10 minutes. Receive 3 FREE Mythic Chests just for filling it out! Thank you, your feedback is extremely valuable to us. 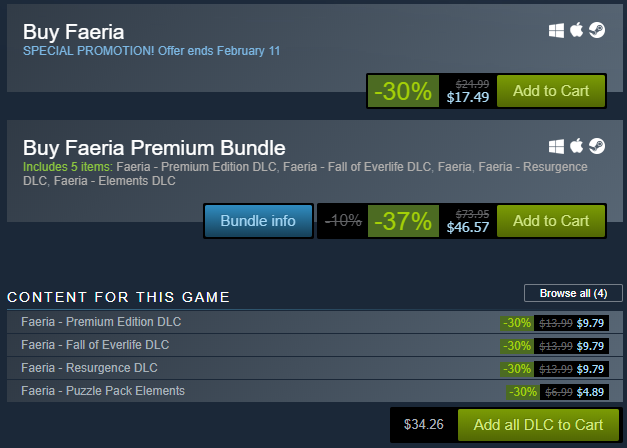 In case you missed it, Faeria is part of the Steam Lunar New Year Sale! This sale ends on February 11th, so make sure to take advantage of it by Monday if you've been thinking about getting anything Faeria related for you or a friend. Are you planning on going to PAX East from March 28th-31st of this year? Do you live near the Boston, Massachusettes area? Would you like to help represent Faeria at booth and teach people about the game? Well, we're looking for volunteers! If you're interested in helping Faeria out at PAX East, please contact Atmaz in our official Discord. Thank you! Not all is great news today. Unfortunately, Aquablad will be stepping down from our YouTube channel for the near future. We've loved working with him through all of these years and know the absence of his videos will create a void that will be very difficult to fill. "My time as the content curator of the Faeria YouTube channel has come to an end. It’s been an absolute pleasure to work alongside Abrakam and with Faeria over the last three years. 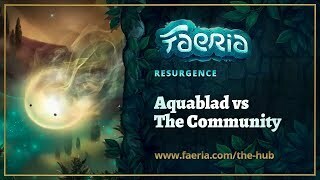 I’ve witnessed Faeria transform into a wonderful game and still believe it’s the best card game out there. I’d like to say thank you to Abrakam for supporting me over the years, allowing me to make a livelihood from playing a game I love. I’d like to say thank you to the community and the channel’s audience for watching my content and all the kind comments I’ve received over the years. Finally I’d like to say thank you to Faeria. Without this game we wouldn’t have such a loyal, vibrant and creative community. I look forward to seeing what the future holds for our beloved game. Until we meet again, Aquablad out!" Due to the unfortunate circumstances, we are opening up our YouTube channel for community uploads and go from there. You can see some of them below in today's video section. If you're interested in producing video content for the official Faeria YouTube channel, please contact Atmaz in Discord. 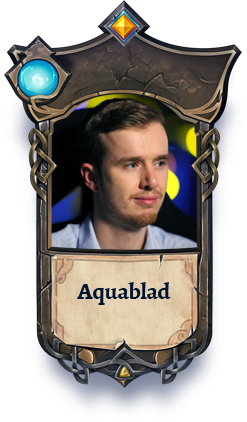 Thank you, Aquablad, for all you've done for us in the past, and in the future. Until then, you can follow his Twitch channel here! The next Championship League tournament is TOMORROW! Remember, you must register on Battlefy and check in 1 hour before to compete. See our #tournaments channel in Discord for more information. 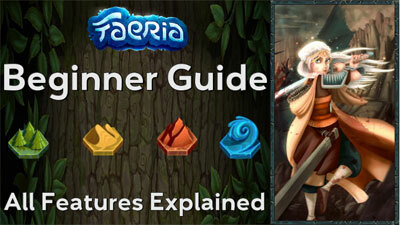 Matrien is here to help you optimize your time and effort as you enter the world of Faeria. If you're new to Faeria, this video is a much watch! An in depth guide to the deck Vermin Combo, specifically the one uploaded by PyroManiacYT, this guide applies to no other list. 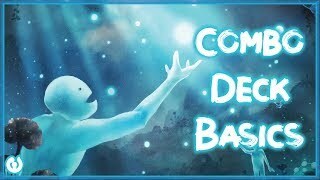 Special guest Werfs takes over the Faeria YouTube channel to explore the basics of Combo decks.